NHS England has issued new guidelines for clinicians around the use of instant messaging apps during emergencies. 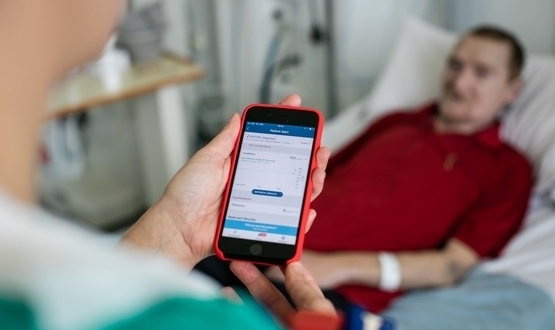 The guidance sets out how and in which circumstances doctors, nurses and other healthcare staff can use messaging apps within acute care settings. It also includes outlines privacy rules and procedures for sharing patient information. Andrew Miles, consultant general surgeon and Royal College of Surgeons Council Member, said: “Patient safety is enhanced when NHS staff can quickly communicate confidential patient information between teams, such as by instant messaging. The guidelines come after an FOI request by Hospify revealed that less than two-thirds of NHS trusts have a policy on the use of messaging apps. Neville Dastur, consultant vascular surgeon and co-founder of Hospify, said: “Medicine is about the everyday urgent crisis as well as large scale, unforeseen incidents. We welcome guidance that explains how staff can use instant messaging safely in their day-to-day work and in crisis situations. Messaging apps have proven instrumental in helping emergency responders communicate during large-scale incidents, including the Grenfell Tower disaster and the terrorist attacks in London and Manchester in 2017. WhatsApp also proved a key communication tool during last year’s WannaCry incident, allowing NHS staff to communicate after being locked out of computer systems. There have subsequently been calls to introduce a WhatsApp-like messaging service into the NHS. The new guidance was published jointly by NHS England, NHS Digital, Public Health England, and the Department of Health and Social Care. 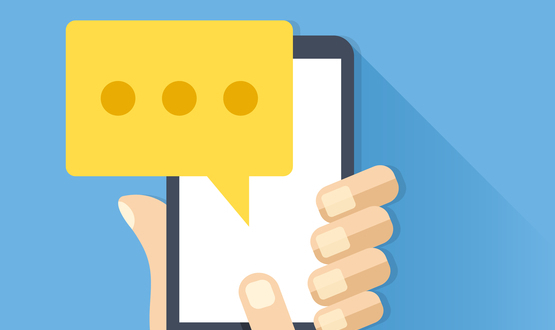 It does not endorse any instant messaging tool in particular, but rather sets out what standards need to be met by health staff using instant messaging during emergencies to co-ordinate patient care. This includes only using apps and other messaging tools that meet the NHS encryption standard, keeping clinical records separate and deleting any notes after they have transcribed and attributed in the medical record. It also offers practical guidance such as disabling lock-screen notifications and discouraging staff from sharing devices. Dr Helgi Johannsson, consultant in anaesthesia at Imperial College Healthcare NHS Trust, set up a major incident instant messaging group to help coordinate his hospital’s response to Grenfell Tower. Dr Johannsson, who was involved in reviewing the new NHS guidance, said: “Fully encrypted instant messaging services can be a particularly useful communication tool in delivering care to people during a major incident. Dawn Monaghan, director of the Information Governance Alliance, noted that while messaging apps could improve patient care, they were “no substitute for the medical record”. “It is important any advice received on those channels is added to the medical record, with the original messages deleted,” Monaghan added. In the app we use you can not delete messages. It is probably important not to as it is part of a medical “Record” or journey. Could prove a useful audit tool in the event of an incident or complaint. Nothing is free. I wouldn’t touch WhatsApp with yours. Who’s it funded by? That will tell you all you need to know. Signal by Open Whisper Systems is open source. The code could be ported quickly and easily by NHS Digital or if you want to take a risk, use Signal. If Edward Snowden recommends it then it cannot be all bad. I can’t actually see a link to the guidance in this article? Hi Danny, I’ve updated the article with a link to the guidance – see 13th para. The app helps detect early signs of kidney failure and is currently being used at the Royal Free Hospital in north London.